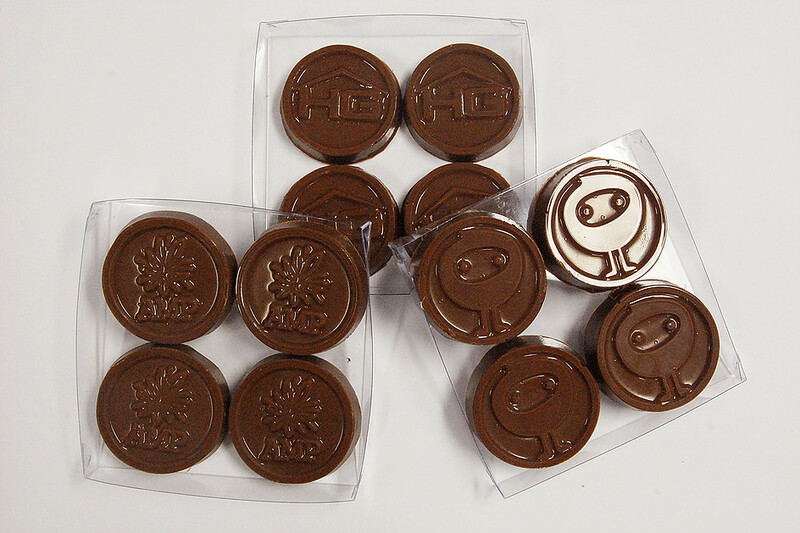 Four embossed squares of chocolate in the promotional Chocolate Square 4 Pack are beautiful, and will be the talk of your next trade show. Introducing the promotional Chocolate Square 4 Pack. This promotional product is definitely a must-have marketing tool if you want to leave your would-be clients with a remarkable experience about your business. 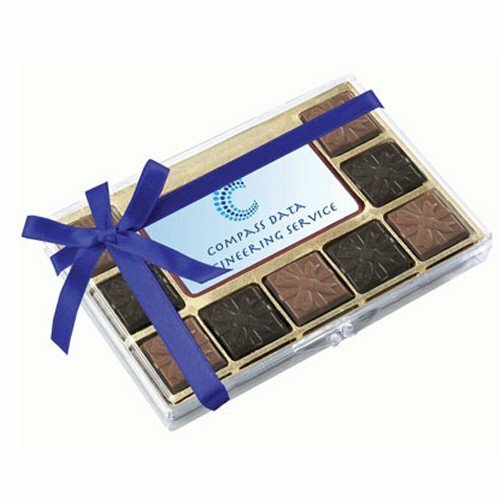 Not only that, but for existing clients, the custom Chocolate Square 4 Pack is always a heart-warming gift to give out during holidays and special events. These chocolate squares are seriously delicious. Having just one piece is never enough, and that’s why we’re giving you four. That’s right! Indulge everyone with the rich chocolate taste of your choice. Satisfy their chocolate cravings with the smooth creamy taste of milk chocolate, the sweet appeal of white chocolate, and the strong bold taste of black chocolate. All three flavours are guaranteed to have been made with only the finest ingredients, giving you nothing but the utmost best from our chocolate confectioneries. Each piece of chocolate squares weighs 12 grams, having a dimension of 40mm x 40mm in width and height. They can be embossed with your custom design like the logo of your company or any trademark that you use in your trade. They come packed inside a see-through 84mm (h) x 84mm (w) x 10mm (d) box so your company design embossed easily gets recognised upon first glance. If you think that the custom Chocolate Square 4 Pack is a great idea, then you’ll also definitely like the custom Deluxe Truffle Gift Box which is sure to be a huge hit. And you can even make your events a bigger hit by including our custom Club Sports Cap to your lineup of promotional giveaways. We have plenty more wearable products, so also make sure to check them out. Call us via 1300 008 300, or chat with us online through our site’s chat app. 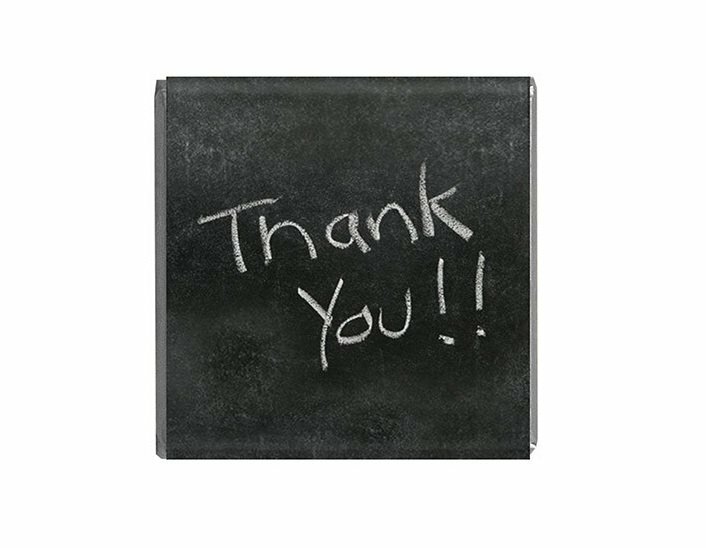 We’re keen to assist you with all of your promotional marketing giveaways. Let’s get started.